As a business that sends packages on a regular basis, you’re most likely in search of the most cost-efficient options to deliver your goods. And if up to now, you still haven’t decided on the best delivery option for you, we’re here to help you figure it out. Today, there are two main options to deliver mails: a postal service and a courier service. Although both have similar roles, each carries out the job in completely different ways and costs, in particular. 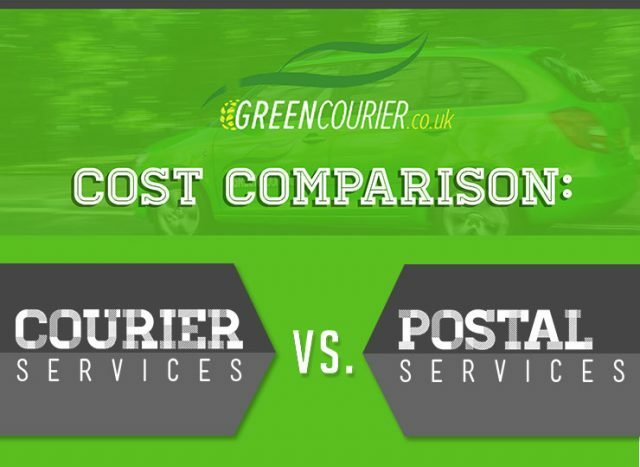 In this infographic, Green Courier, a leading courier service in the UK will define the differences between these facilities. The growth of the e-commerce industry plays a valuable role to the increase in value of the UK parcel market. In an estimate by Apex Insight, the turnover in the sector nearly hit £10 billion in 2016. The majority of the number is attributed to the B2C side of the Internet retail. A consultant from the independent research provider says that this sector will continue to thrive in the coming years. On the other hand, a research by IMRG and Capgemini revealed that Internet transactions accounted for about 15% of retail sales in 2016. It also said that consumers spent some £133 billion online in the same year. These factors go the same for courier services. However, the difference is that with so many courier companies present online, you can easily compare prices and search for the ones capable of meeting your delivery needs at the lowest possible cost. Aside from keeping the prices reasonable, courier companies offer a range of services to meet different kinds of budgets and delivery requirements. These options can vary from same day, next day to multi-drop and international deliveries. By nature, both national posts and courier companies have high-efficient logistics in place. However, what separates a courier service is that it can provide the ability to track the package all the way to the delivery point. Courier websites are often equipped with tracking tools that allow senders to monitor its whereabouts and likewise, updates recipients when to expect a delivery. This is in contrast when mailing a package the postal way wherein the post office can only inform the sender when the package should reach its recipient. As mentioned, post offices, like many other mailing options, guarantee delivery by a certain date. But, in cases where the recipient can only be available at a specific hour, a definite time and date might be necessary. Some courier services let senders indicate an exact date and time when the delivery and pickup must be made. They can guarantee to fulfill the delivery at the requested period or even earlier. If you don’t mind packing your own delivery, taking it to the post office and waiting in line to have the package measured and weighed, then it should be convenient for you to deliver the parcel through a postal service. On top of all these, a courier service is capable of delivering parcels in the most efficient and eco-friendly manner. It cuts out the need for the package to go through a series of depots and sorting facilities before it is delivered, thus keeping the mileage to a minimum. It reduces the carbon footprint the logistics industry has on the environment. One cannot deny that a postal service remains a significant option, considering the number and volume of deliveries they handle and the speed at which they process them. However, determining when a courier or a postal service is a better option can still depend on the following situations. Throughout the years, these situations have influenced the change in the consumer behaviour, resulting in the shift towards the use of courier services. It can’t be denied that postal services have already been lagging behind courier services in terms of convenience, efficiency and the quality of service the majority of consumers prefer. In a nutshell, if you are in need of a delivery service and want to be certain that they arrive safely and efficiently, it will be wise to employ the services of a courier company. Learn more how a courier service can benefit your business. Contact Green Courier today! Please include attribution to https://greencourier.co.uk/ with this graphic.